THE NBA ATS GURU IS BACK BEEATCHES! 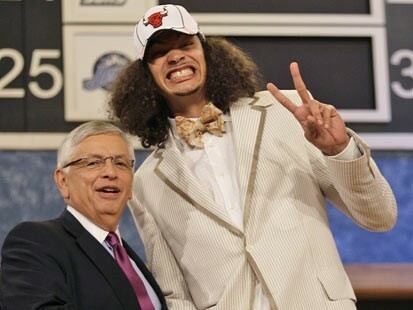 Joakim Noah brought the energy to help the Bulls cover their 3rd straight, and help Greggy G to a 3-1 ATS night! The Wildcats have been playing perfect ROUNDBALL! The Pirates need to add some calories to their frontcourt! ...my hard-work is finally paying-off! This page contains a single article from January 3, 2008 12:25 PM.